download vCard Paul joined SE Capital in 2005 and has worked in private equity and investment banking since 1995. At SE Capital, he is responsible for business development activities such as originating and evaluating new investments, managing the due diligence process, negotiating financing agreements, and portfolio company monitoring. Paul maintains relationships with and acts as SE Capital’s primary contact for all financing sources. 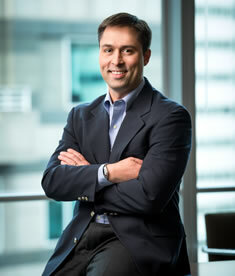 Prior to joining SE Capital, Paul was a Vice President at JP Morgan & Company from 2000 to 2005. During his time at JP Morgan, he advised middle market companies in both the Industrial Merger & Acquisition Group and the High Yield Capital Markets Group. Before joining JP Morgan, Paul spent five years in various investment banking and leverage finance roles at Banc of America Securities, LLC. Paul currently serves as Corporate Secretary to the Board of Directors of Claims Management Holdings, LLC and has served in a similar capacity at SSIMED Holdings, LLC and Origin Healthcare Solutions, LLC. Additionally, Paul has served as the Finance Director on the Board of Directors of Winnetka Public School Nursery. Paul is an active member of the Association for Corporate Growth (ACG), the Chicago Private Equity Network (CPEN) and the Chicago Association of Private Equity Executives (CAPEX). Paul earned an MBA from The University of Chicago Booth School of Business and a BS in Finance from Indiana University Bloomington.